Calder House has won the TES award for Special Needs Initiative of 2016. The award recognises our pioneering work in identifying the links between weak working memory and pupils’ difficulties in reading, creative writing and learning within a classroom environment and our success in helping our pupils overcome these difficulties. Presenting the Award at London’s Grosvenor House Hotel, the judging panel said the school represented “a superb example of setting the bar high for pupils”. “I am absolutely delighted that the amazing work of our Director of Studies, Ian Perks, and our remarkable Subskills Team has been recognised in this way”. beamed Headteacher, Karen Parsons. 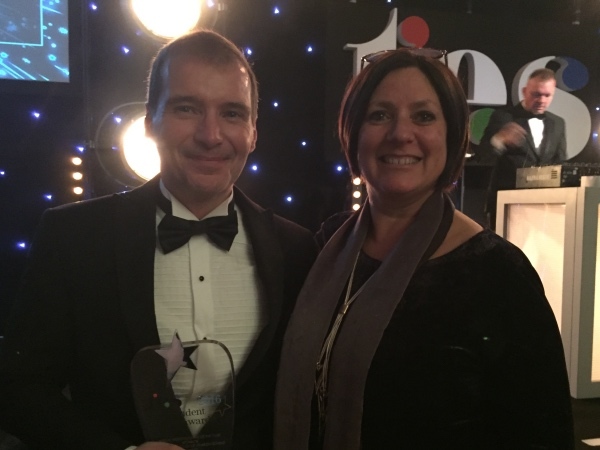 “This award reflects his long-standing dedication and determination to ensure that no child is allowed to fail and the remarkable support for our pupils that our team of subskill specialists brings to every lesson, every day”.